Putting in context current international views regarding human descent | What About Victoria? In 1830, thirty years before the publication of The Origin of Species, the argument was already over. So-called “young earth creationists”, as we’d call them today, were already on the fringes of mainstream scientific consensus. Earlier ideas and evidence from scientists like James Hutton in the burgeoning science of geology had established beyond doubt that the history of earth is not thousands of years in length. Rather, the earth is billions of years old. This was the mainstream view among scientists even before the transformative ideas of Darwin. 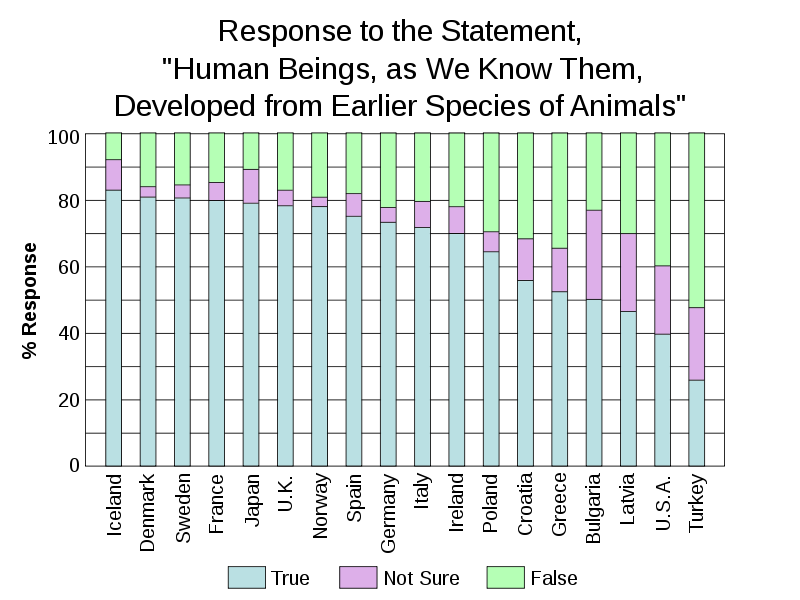 Of the scientists and engineers in the United States, only about 5% are creationists, according to a 1991 Gallup poll (Robinson 1995, Witham 1997). However, this number includes those working in fields not related to life origins (such as computer scientists, mechanical engineers, etc.). Taking into account only those working in the relevant fields of earth and life sciences, there are about 480,000 scientists, but only about 700 believe in “creation-science” or consider it a valid theory (Robinson 1995). This means that less than 0.15 percent of relevant scientists believe in creationism. And that is just in the United States, which has more creationists than any other industrialized country. In other countries, the number of relevant scientists who accept creationism drops to less than one tenth of 1 percent. Yet, numerous polls of the general public in nations across the globe demonstrate that large percentages still hold that God created humans, as they are now, in the last 10,000 years or less (see table below). Remarkable.